Jacob Geller attempts to unravel Gorogoa’s knottiest riddle. NB: Spoilers beyond. 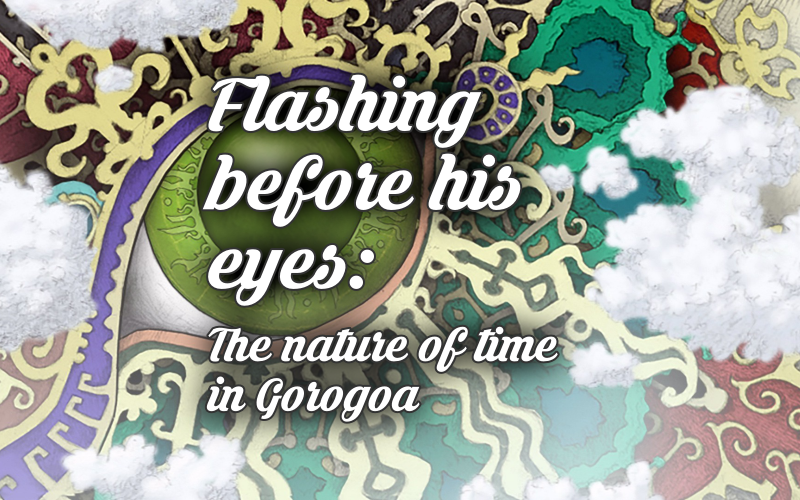 We recommend that you play through Gorogoa before reading this piece. Gorogoa initially feels like an experience totally unshackled from our usual expectations of time and space. Its gameplay is divided into four tiles, each of which function as a sort of window into a different world. These windows are malleable though; a doorway in one square might be a portal into an adjacent square’s reality, regardless of differences in scale or year. 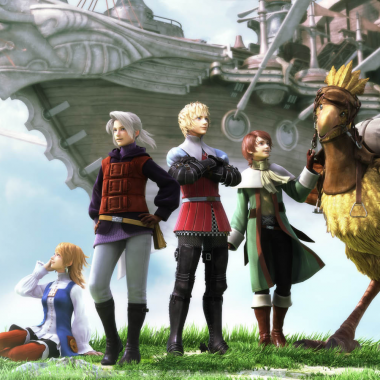 Its playfulness with the laws of physics led me to assume that the game’s narrative was equally airy, just a series disconnected vignettes for the sole purpose of creating puzzles. But Gorogoa’s casual melding of perspective, space, and age serves a more profound purpose: its mechanics are a game-spanning meditation on life, perseverance, and understanding. When playing Gorogoa, all time appears to exist at once. 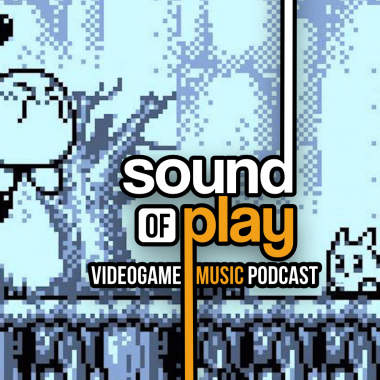 Our anchor point is one man, but the game is obstinately un-linear with its timeline. Memories from his middle-aged self will directly impact his adolescent experiences, constellations will shift and disappear, and entire buildings will be ravaged by war within moments of real-time interaction. However, as freely as we’re able to experience all points of this man’s life, he can’t help but remain fixated on his childhood. The details of the plot are slippery, but center on a god (the titular “Gorogoa”) and the man finding the proper offerings to satisfy it. As a boy, the main character faces little hardship in this task; he simply walks along the path laid out by the player and the fruit quite literally falls into his hands. When he finally presents it to the god though, his gifts are rejected. The boy looks into the face of Gorogoa, the fruit crumbles to dust, and he’s thrown into a life of hardship. Permanently crippled by this encounter, the rest of his days are consumed by research on the god and related aspects of the unknowable. In contrast to his whimsical childhood, our character spends his adulthood in a bitter marriage to this thankless work. We often find him slumped over at his desk or striving to read even after his lantern has gone out. He seems totally companionless, and his research seldom appears to bring him any joy. But because of the stories non-linear nature, his research is actually invaluable; it’s only through his discoveries that we’re able to bring the boy the fruit in the first place. For example, the books on his shelf (as an adult) literally change his world. They provide the power to great wheels, rolling forth architecture and time to a point where the path forward is accessible to him as a boy. That bookshelf, vital as it may be to the player, seems mostly forgotten by the man. He’s fallen asleep staring out the window, mirroring the position of his first sighting of Gorogoa many years ago. Despite its enigmatic nature, the game does give us a true conclusion. The man, old and grey at the end of his life, returns to the tower from which he once fell. The game whirls us through every period that we’ve seen before, old puzzles returning in ways that are simultaneously novel and nostalgic. His reflection on these different eras achieves what he failed at for so long; the offerings, lost a lifetime ago, re-emerge. Unlike the first time though, Gorogoa seems fundamentally satisfied. The old man ascends, finally getting the reward he sought from the god, and the game is done. Although the boy’s goal is to collect five different colored fruits, it’s easy to see that the rainbow of apples represent something larger, something worthy of a life’s obsession. Gorogoa is a game about intangibles. What consumes the man as a young adult, in middle age, in seniority, is something that seemed almost effortlessly obtained as a child. Whereas all he had to do as a child is wander from place to place and wait for what he wanted to fall into his hands, age seems to bring the man nothing but anxiety about the same goals. His struggle comes into a sharp, empathetic focus with the games penultimate twist. The goal presented throughout the entire experience is simply to collect the apples, and present them to Gorogoa. When he first does though, he’s brutally punished for it. Why? It’s a question that I can feel present in every pile of books he collected, every diagram drawn and cast aside. I had everything. Why didn’t it work? I did everything the game asked, solved every puzzle, identified every pattern, only to watch my efforts crumble to dust. The only way to solve Gorogoa’s riddles is through constant shifts in perspective. Tangled knots of time and space are unraveled by finding parts of the world that unexpectedly just fit together. But this omnipotence is only granted to the player; from the point of view of the man, the series of events that define his life are almost inexplicable. This philosophy isn’t particularly novel. But as a recent graduate struggling to find a use for the topics I invested years of my life in, it is rather comforting. It’s hard now to see the future avenues I may be creating for myself, but Gorogoa is a reminder that now is a somewhat arbitrary concept. Ultimately, things might just require a change in perspective. More of Jacob Geller’s writing can be found on his author page, while his self-promotion and self-deprecation are in equal measure on his twitter @yacobg42.